Morning hair, a photo by PhylB on Flickr. 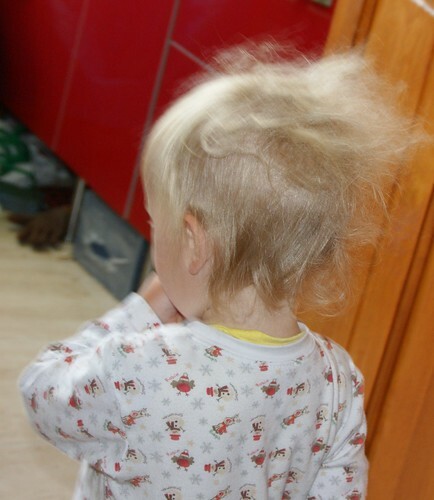 Anna got up this morning with her hair at the more extreme end of her morning spectrum. Yeah I look a bit like Owama, she replied very certain of herself. Who or what is Owama, I wondered, almost afraid to ask as she'd been so dismissive. Her with the red hair Charlotte listens to - you know - she sing 'Owama - that's my name, Owama, that's my name! I'm thinking she might be meaning... Rihanna! I suppose that's what you get when there's and eight year age gap between your kids - 3 year olds who sing Rihanna instead of Twinkle Twinkle.